A US Navy veteran serving, honorably in multiple conflicts & wars since 1985 with additional time spent in Afghanistan and Iraq as a military liaison to Special Forces units. William is a 2004 graduate of Montreat College with a Bachelor of Science Degree in Business Administration and is continuing to pursue a Masters with the school’s executive MBA program in Asheville, NC. After serving several years overseas in multiple countries in the 80’s to early 90’s as Naval intelligence professional, William accepted a ministry position as an executive assisting pastor of the largest church in Hawaii within his denomination. He learned quickly that the greatest asset to any leader is his assistant. He directed and navigated the ministry’s radio syndication from 5 markets to 215 markets nationally in a two year period. 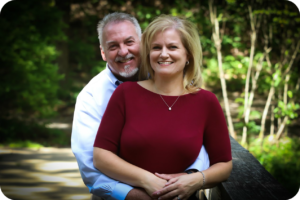 He additionally directed an affiliated Bible College as a teaching director. From 2000 to 2004 William operationally managed two separate businesses suffering from near failure to a steady profit growth by implementing achievable milestones, a follow-up system and great customer relationships. 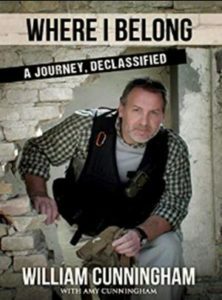 A call from the Defense Intelligence Agency in 2004 redirected William to serve as an intelligence asset to Special Forces units in Afghanistan and Iraq. Over the next several years, he would lead several operational components in multiple hostile locations, ensuring both kinetic and non-combative missions were achieved. In 2011, William assisted in restructuring a 21 Million dollar intelligence contract to be successfully bought out, allowing him to pursue other interest and spend much needed time with family. In 2012 he focused his interests on creating a better environment by volunteering and then serving as Chief Operating Officer and Director of Development of the largest homeless shelter in Western North Carolina where he spends much of his time coaching life-changing principles with those in need and encouraging donors. 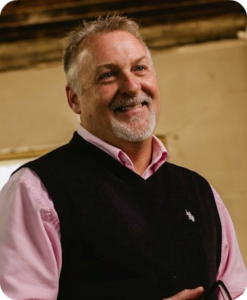 William’s motto is, “Let’s Get Caught Doing Good Together.” He has been assisting the Director and board members of the Western Carolina Rescue Mission in down town Asheville with the management of approximately 5.5 million in contributions and hard assets. William is married to Amy and has three children. Christian, served as an Army Paratrooper with the 173rd in Italy and now attending Appalachian State. Elizabeth, married and working with special needs kids and adults in Cary, NC and expecting her first born. Blake is a senior in high school where he is a Captain in his JROTC unit; he is also working part time to fund the rebuilding of his classic 1987 Porsche, which is his hobby. William enjoys giving back to the community and supports a number of organization at various levels, to include: Western Carolina Rescue Mission (Homeless Shelter), Special Operations Foundation, Helpmate (Domestic Violence Shelter), Lake Hills Church, Victor Marx Ministries (Combating Human Trafficking), WMIT radio, Youth With A Mission (YWAM), The Asheville Lyical Opera Company and the Heart for Lebanon Foundation (serving 1000s of Syrian refugees living in Lebanon farm land). William believes in life long learning. He also is a 1992 graduate of Calvary Chapel Bible College School of Ministry (SOM) followed by a pastoral commissioning; in 2010 he received a Master certification in Applied Project management through Villanova University; In 2011 William completed certification requirements for Legal Investigation through Winston-Salem State University; In 2014 he completed his requirements as a certified Temperament Counselor through Sarasota Academy of Christian Counseling; and recently achieved the coveted designator of Scaled Agile Framework (SAFe) Agilest (SA) for Executive managers who desire to implement Lean-Agile methodologies.